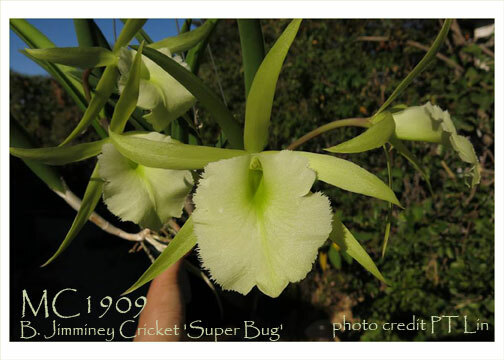 A green flowered Brassavola with the ultimate lip ! 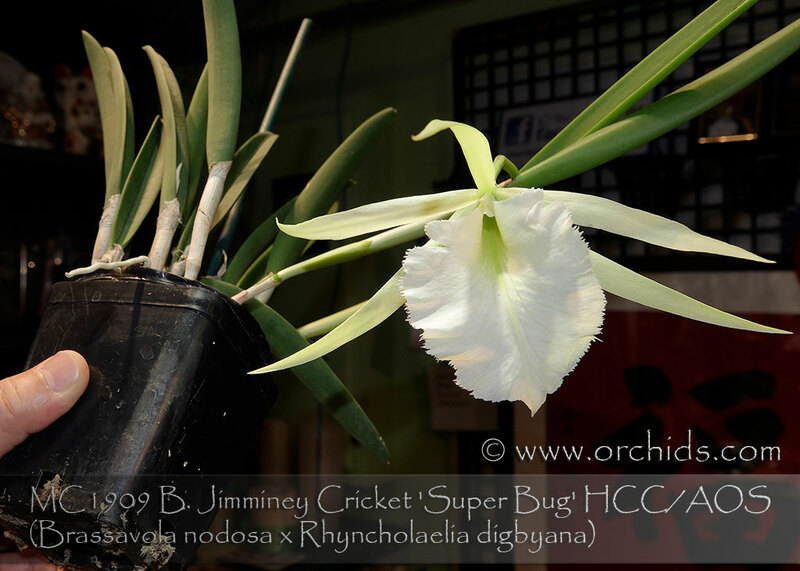 A primary hybrid between Brassavola nodosa and Rhy. 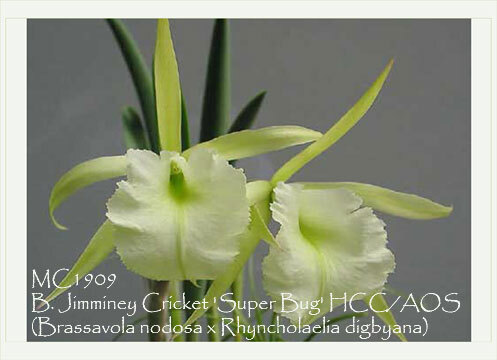 digbyana, it produces huge, up to 7” in size, soft apple green flowers which are wonderfully fragrant at night. Its lightly fimbriated lip is further accented with a rich apple green throat. Producing 2-3 flowers per inflorescence, this hybrid is an easy grower and loves to dry out between waterings. Highly Recommended ! 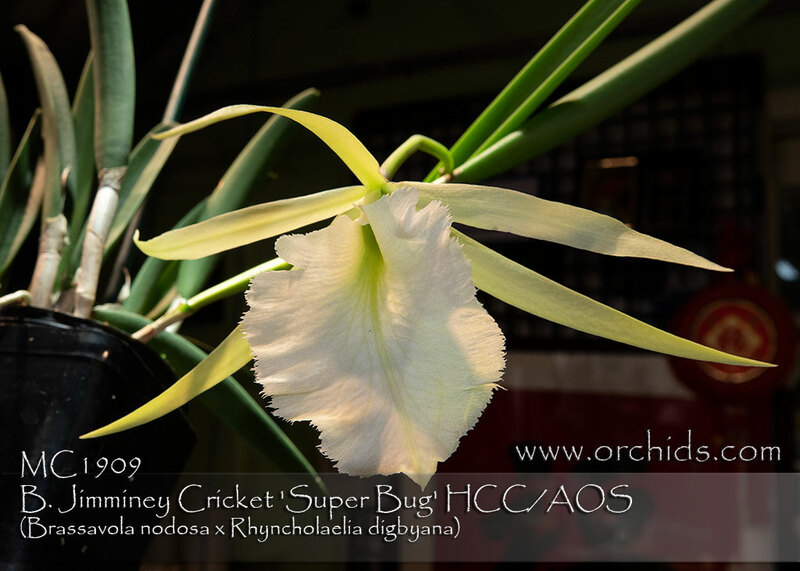 Super Bug' HCC/AOS, Note: Husky Plant, Delightful Fragrance!